​Do you want your kids (Kindergarten to Grade 6) to understand money? 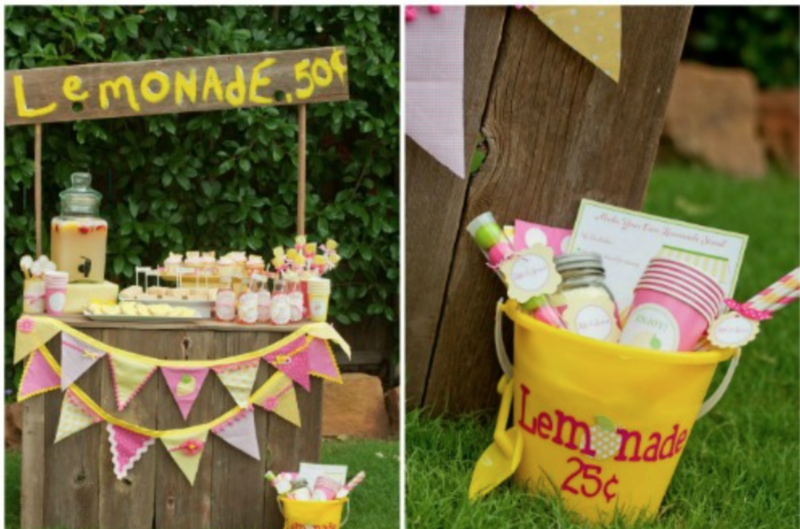 ... ​and do they love the idea of setting up a Lemonade Stand? In the era where dollars can be spent by the click of a mouse, it is easier than ever to turn a blind eye to the actual number of dollars being spent. The transaction to buy a bag of apples takes the same amount of time (and often the same amount of forethought) as that to buy a large appliance. We start off our financial literacy section with The Price Is Right - Grocery Checkout and Hi Lo games. These adaptations of the famous Price is Right TV games help kids become aware of the prices attached to common household items. Once they become aware, they will pay more attention each time they go shopping. After a few games, we get into planning our lemonade stand business. From brainstorming techniques to planning marketing and advertising, kids cover the bases for a real live business. Proceeds are split between a local charity and Kiva, an international organization that gives funding to entrepreneurs from under developed nations. The kids will review the business plans, then choose which borrower they want to support. A $25 donation may help a villager to start a shoe business, or a factory worker to quit his job and start a farm. This organization has a 80% success rate, so chances are that the kids get to support another borrower once the money is repaid. Note: If proceeds are over the goal of $300, then the next $100 of proceeds are put towards a class party at Langley Extreme Air Park. $177 (for students making their own way to Port Moody Arts Centre). Students are shuttled down (from schools on our route) or meet at Port Moody Arts Centre between at 3:45pm. Students can be picked up between 5:15 and 6:00pm.